Restrooms are naturally offered, and water hookups are available here. 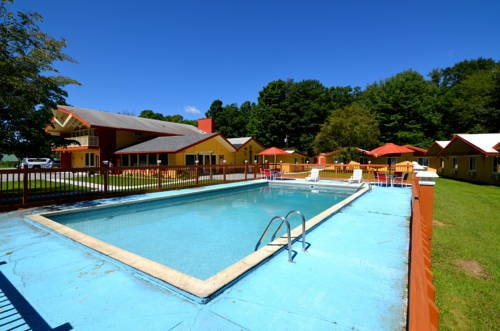 This campground is one of the magnificent places to camp here in the Green Mountains. Vermont is a perfect outdoors state. Some activities here at Grout Pond are fishing, swimming, hiking, playing golf, and whitewater paddling, so getting bored is not something that is likely to happen. near Grout Pond, and it is one of many perfect campgrounds in this neighborhood. attractions around here and the nearby outdoors recreation are tremendous causes to come. and blue runs. The 13 feet of snow that fall per year at the nearby ski area Mount Snow is wonderful. Mount Snow has 20 lifts, a good 1,700-foot vertical drop, and 80 runs. Outdoors recreation in the vicinity of Bennington, Vermont, the metro area neareast to Grout Pond. Find info on campgrounds, marinas, hiking trails, ski resorts, lakes, beaches, parks, whitewater, golf courses and more. List of books available on Amazon.com about campgrounds in Vermont.